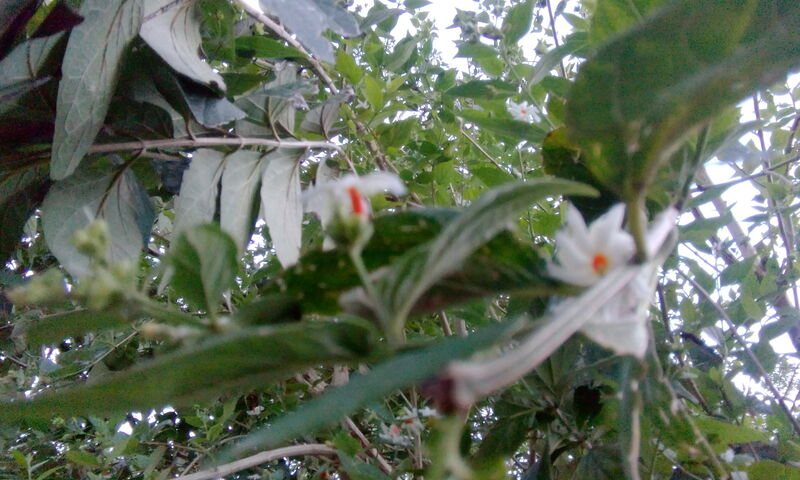 Seeing them every morning in childhood, their upright oange stalks standing guard as the white flowers kissed the green grass, I fell in love with the tree. It took me three years to locate it here! Fir me, it brings the feeling of home, perhaps one before I was born? 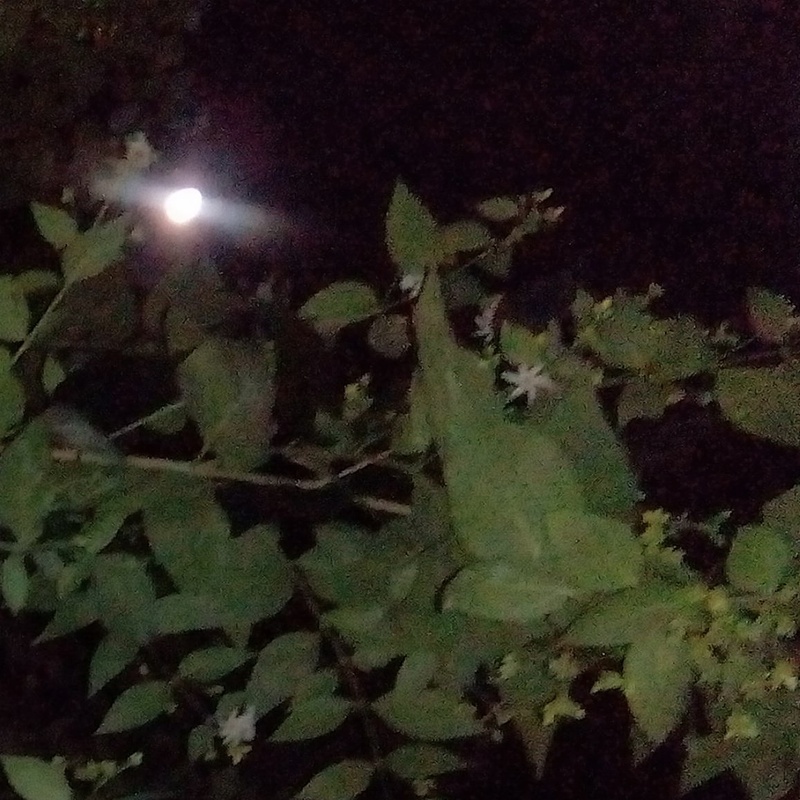 A few days ago, the tree called to me at 3am: brahma muhurta. 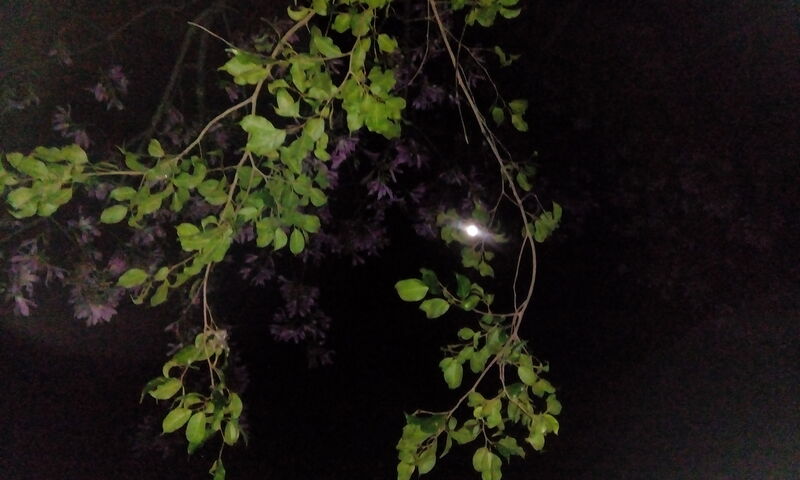 I looked out and saw the moon exchanging glances of light with the flowers, glowing in the pre-dawn dark. I don’t think I had seen the tree in full bloom before and I realized I now have a chance to see them blossoming and falling to Mother Earth. Laying out sheets to catch the falling flowers, I sat below the tree and meditated. In the still night, I heard a rustle. That is when I realized that even a flower so delicate that it wilts in a day, can make a sound as it high-fives each leaf it passes on its way down to the ground. The leaves of this tree are rough, yet they don’t damage the flower. Many offer a resting place for the flowering blossom before a gust of wind blows it off. One fell, then another. In ones, and twos and groups, they rained down on and around me. I sensed no sorrow. Only bliss in this flowerfall meditation. Is there a purpose to a life lived for so short a while? 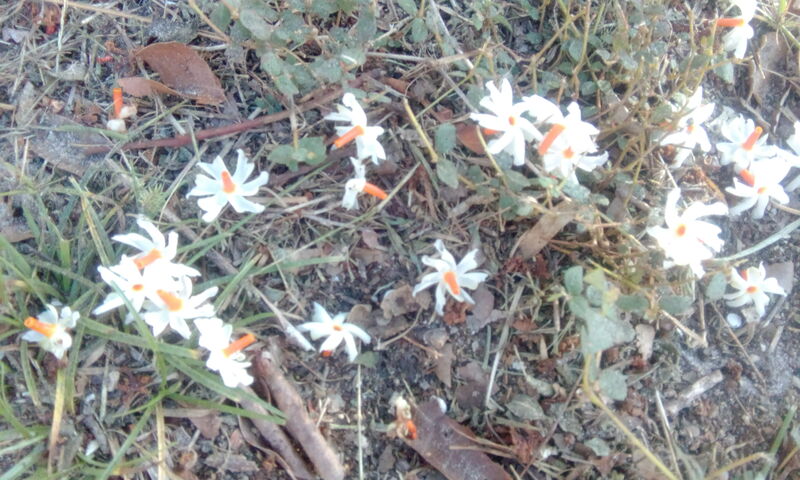 Is the flower living while on the tree or on the ground? Only the tree, flowering every season, knows. Only Mother Earth, nurturing and supporting its roots, can tell. Meanwhile, every part if the tree is medicinal. No wonder this is said to be one of the five trees in heaven, brought down to Earth by Lord Krishna. 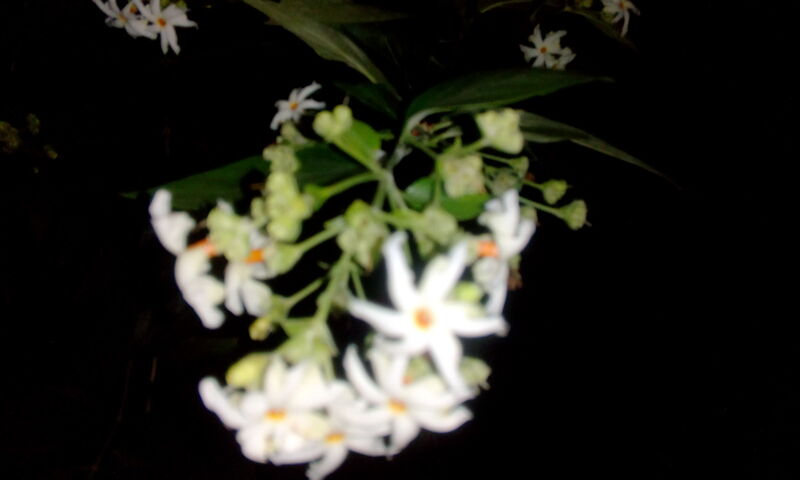 The flower’s fragrance has been captured, and I am attempting to do so. Tea made from the leaves can treat arthritis, sciatica, fever, pain, constipation, anxiety and rheumatism. 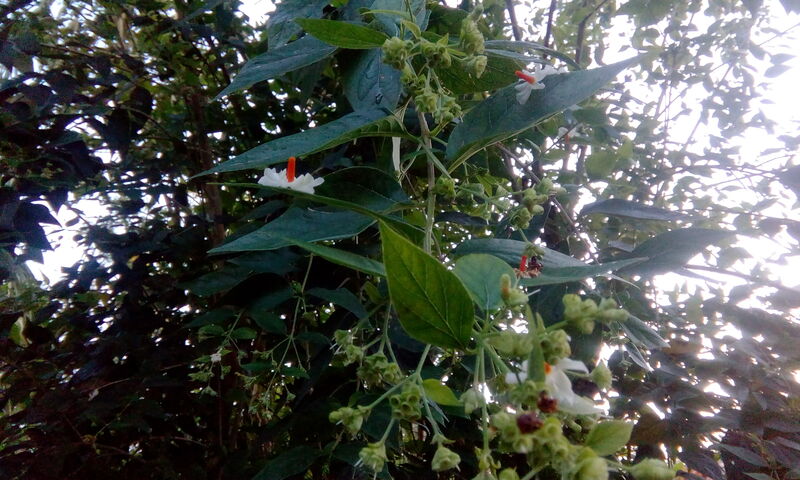 “The entire tree including its leaves, flowers, bark, seeds and stem is known to have amazing medicinal properties to treat arthritis, dengue, sciatica and many more ailments . 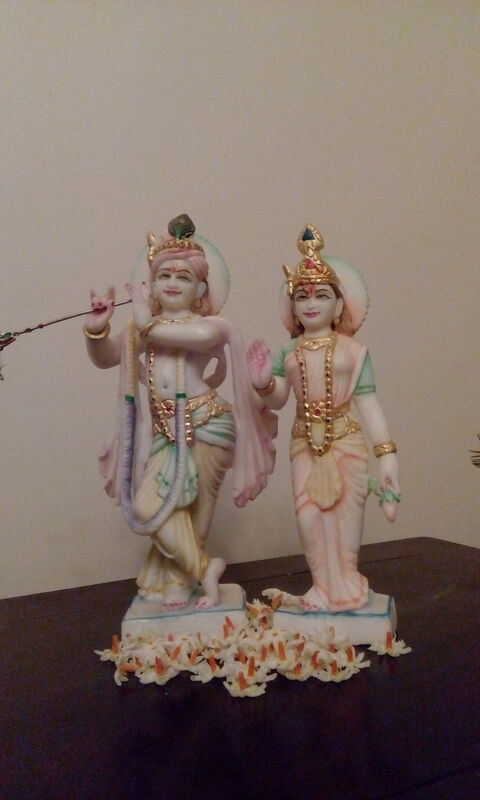 Ancient scriptures describe that the harshringhar tree emerged during the churning of the cosmic ocean (sagar manthan) and was planted in the Garden of the Gods (Nandavanam) in their cekestial dwellung (Svargloka). 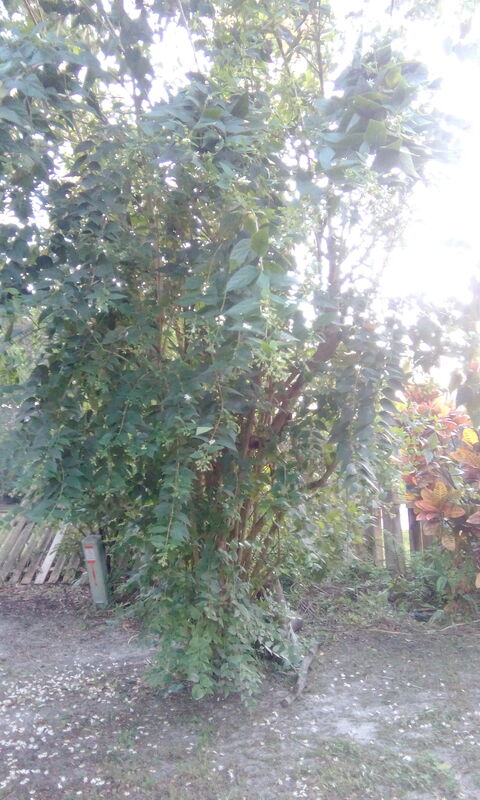 The Bhagavat Purana describes this as one of the five sacred trees (Panchavriksha) . Others are Mandara, Santana, Kalpa-Vriksha and Hari -Chandana. 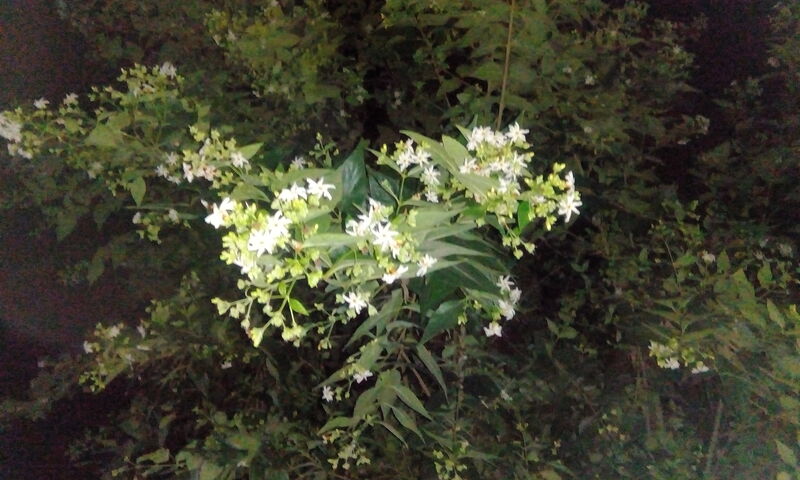 Since its flowers fall, it’s called nycthanthus arbortristis: the tree of sorrow, Since its fragrance blossoms at night, it’s sometimes called the night jasmine. ©2017 Meenakshi Suri. All rights reserved. Posted on November 16, 2017 November 16, 2017 by Gaia ConsciousnessPosted in BlogTagged bliss, harsinghar, parijat, trees. Next Next post: You’re Grounded!